You can now purchase a beautiful townhome in paradise – in the charming town of Dunedin, just outside of Tampa, Florida, at San Ruffino Townhomes. There are only 16 brand new townhomes offered, situated steps from the water and starting in price at – are you ready – $299,900! That’s for 3,100 square feet, and the price includes a garage and private elevator! 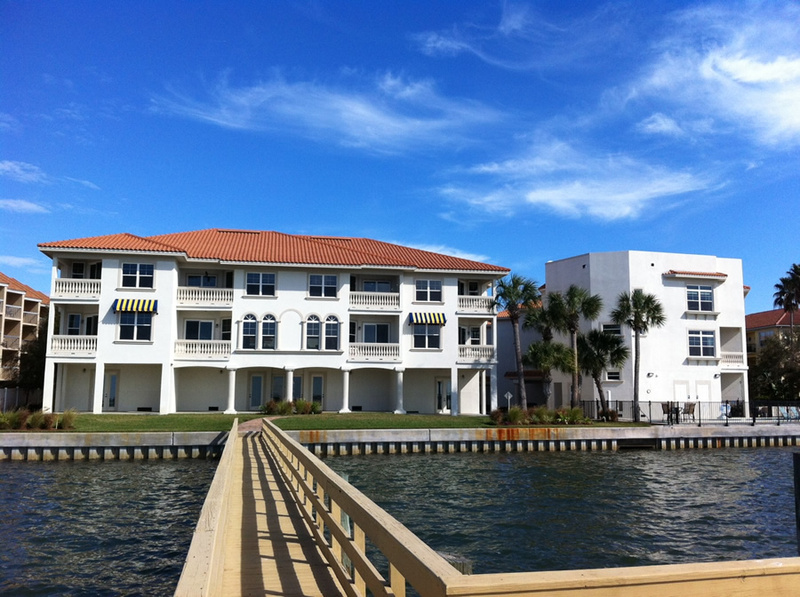 This gorgeous waterfront community also includes a swimming pool right on the water. Baker Real Estate is thrilled to represent San Ruffino Townhomes in this coveted area on the west coast of Florida. Located in Pinellas County, Dunedin has a quaint downtown, lush parks, a rich history, plus recreational, cultural and educational opportunities for residents of all ages. Dunedin is known for its near-perfect weather, gorgeous subtropical setting along a breathtaking waterfront – AND for housing the winter training facilities for the Toronto Blue Jays. The Jays train at the Florida Auto Exchange Stadium located a few blocks from downtown Dunedin. In the ballpark’s concourse, there are banners of current Blue Jays team members and former greats hanging from the ceiling, and the inside of the stadium is painted in “Blue Jays blue”! How’s that for a connection with Toronto? And of course, nearby Tampa is consistently listed among the top places to live in the world. The city is home to the fabulous Busch Gardens, numerous museums, as well as excellent dining and shopping. What a wonderful spot for a vacation or year-round home! San Ruffino Townhomes will offer an incredibly affordable lifestyle opportunity in this prestigious area. To find out more, visit www.baker-re.com, or call us at 416-923-4621 in Toronto, or in Florida 561-447-4007 or toll free 855-BAKER11.